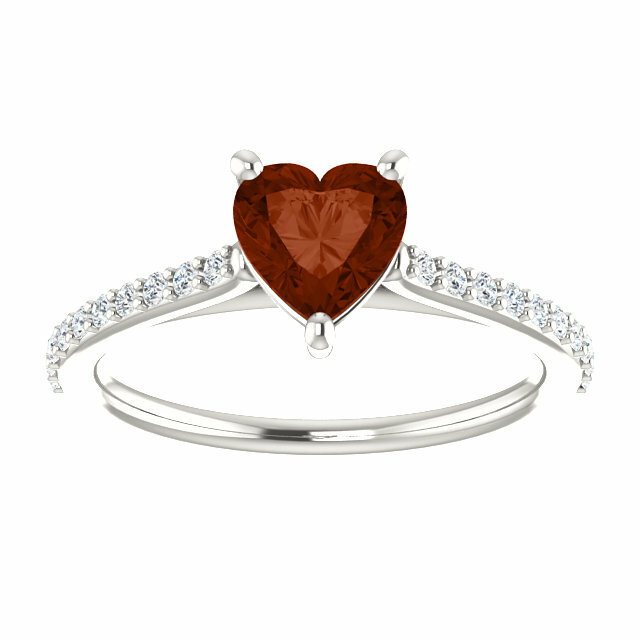 A deep maroon Mozambique garnet gemstone, fashioned into a heart shape cut, steals the show in this .925 sterling silver ring! 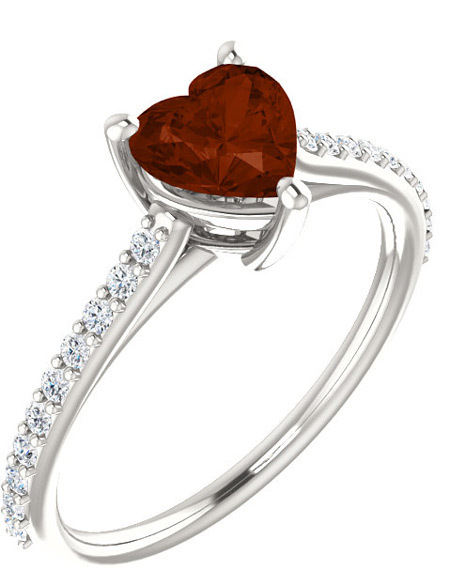 Fall in love with this ring, which features twenty cubic zirconia gemstones in two rows of ten, stretching down the band and bringing out the deep red color of the 6x6mm garnet gemstone. The ring, by Apples of Gold Jewelry, features an authentic AA rated 6mm x 6mm gemstone that is sure to find its way into your heart! 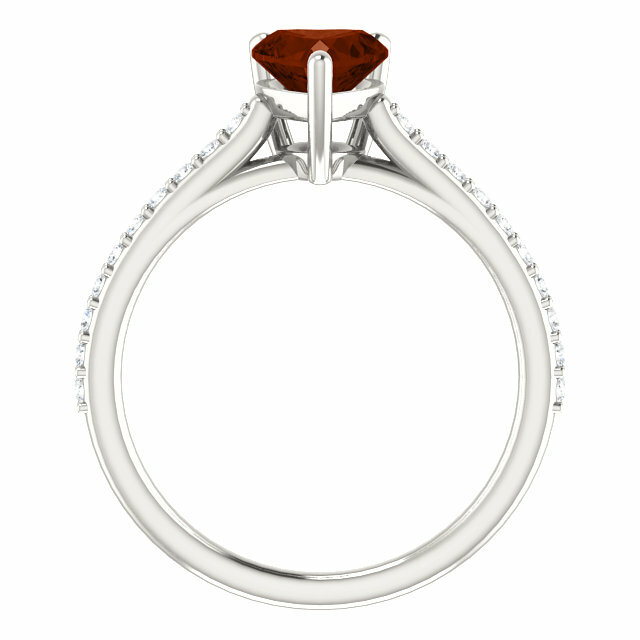 We guarantee our Heart-Cut Deep Mozambique Garnet Ring in Sterling Silver to be high quality, authentic jewelry, as described above.